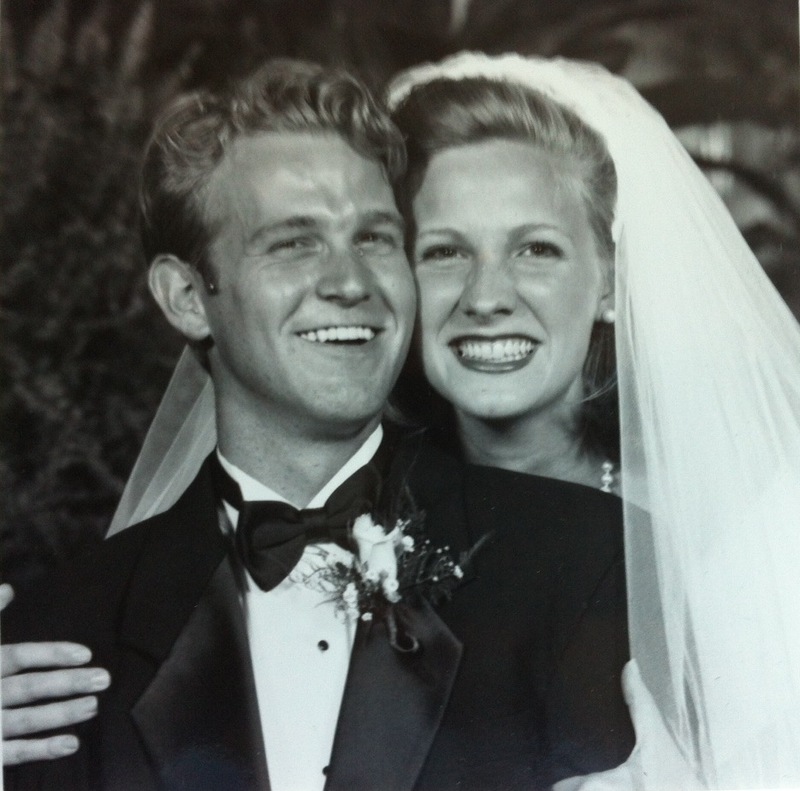 My husband and I celebrated our 17th wedding anniversary last week. I have never been good at keeping up with people’s anniversaries, celebrating people’s anniversaries, (even my parents), or even doing a great job with my own anniversary-honoring. However, there have been a couple of people in my history who have honored my anniversary in really special ways. On our 2nd anniversary, our friend, Candy, left a gift on the door step of our house to help us celebrate our anniversary. It was a Scrabble game and a handmade “Anniversary Quiz”. 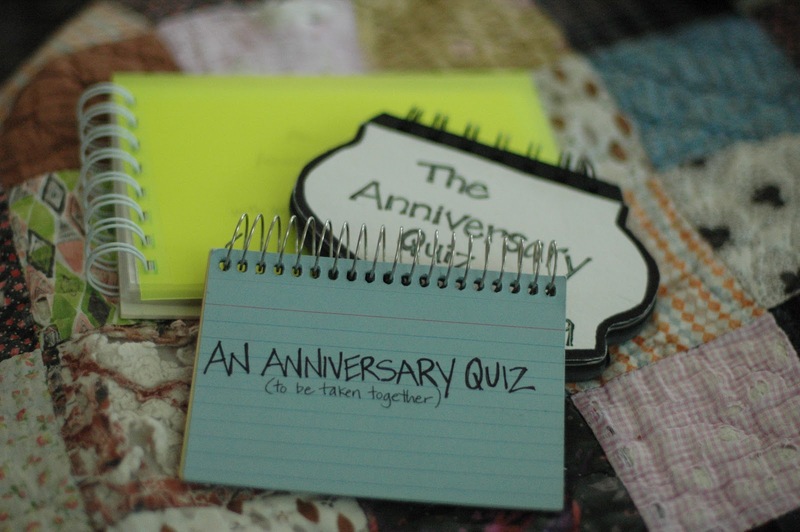 The quiz is a set of spiral bound cards, each page posing a different question for us to ask each other during our anniversary date. It is such a fun way to spark meaningful, funny conversation and reflect on the past year of our marriage. We must have zealously expressed our adoration of this gift to Candy because she gave us updated editions on our subsequent anniversaries for the next two years. 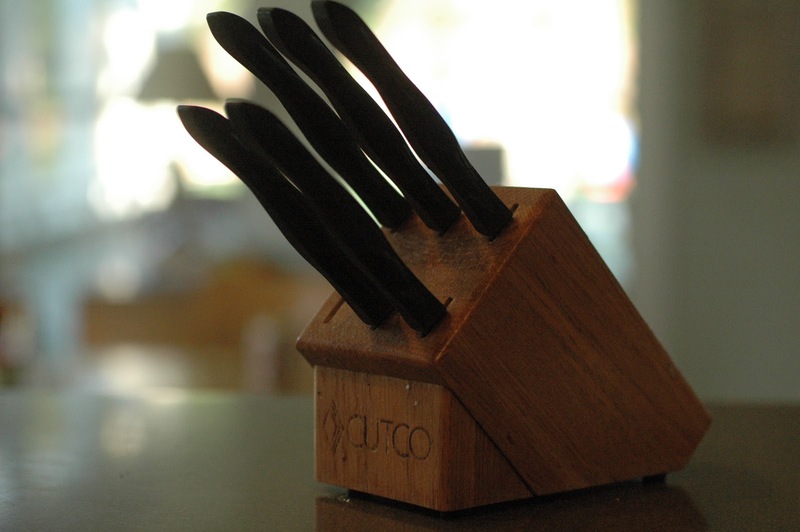 We still pull them out and use them to guide our anniversary dinner conversations, or other date nights when we are so brain-weary that we need a little prompting. * who would know our anniversary? * who would come in the night and decorate our tree and type out a poem? * who would be so thoughtful? * who would be so generous? I was racking my brain. In the brain-racking, I thought of Keely, a young adult friend whom we served alongside in the youth group at church. She fits all of the qualifiers I mentioned. I called and asked her and she denied it. Flat out. So, after many weeks went by, and my frustration for not getting to THANK this dear person persisted, I finally yielded to the anonymity and tried to just be thankful. Months later, I got an envelope in the mail with no return address. I opened it up to find a polaroid photo of Keely in my tree in the dark with shimmery streamers and a gift bag and a great big smile. It was a brilliant moment. Rather than pranking someone and creating a mess for someone to have to clean up, why not overwhelm them with generosity and thoughtfulness. As I thought about this story and sweet Keely, I thought about the time Josh, her now husband, and she came to our home for dessert and coffee. 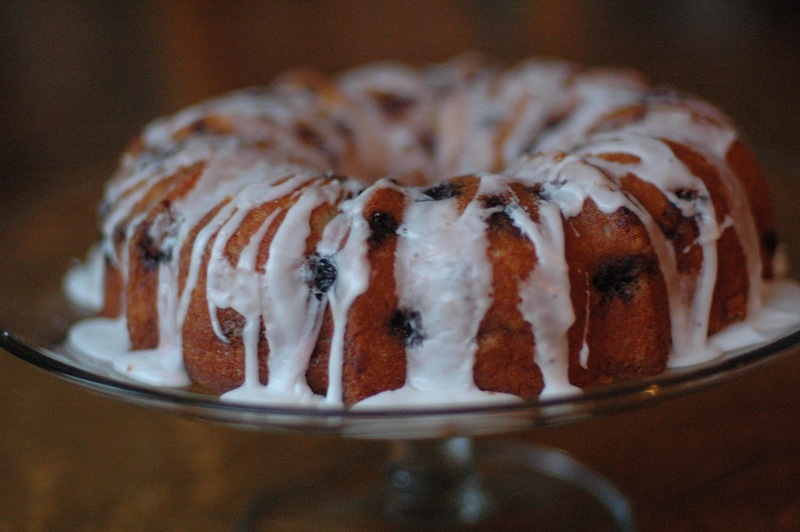 I remember making a Lemon Blueberry Poundcake that I love to make in the summer. It was a recipe that I discovered in a Cooking Light magazine years ago. I remember sending some home to her parents and they asked for the recipe. I remember writing it down for them. This summer, after I had bought the ingredients to make the cake, I saw on the Smitten Kitchen blog, a post of a similar cake that looked so amazing and sounded incredible and NOT LIGHT. 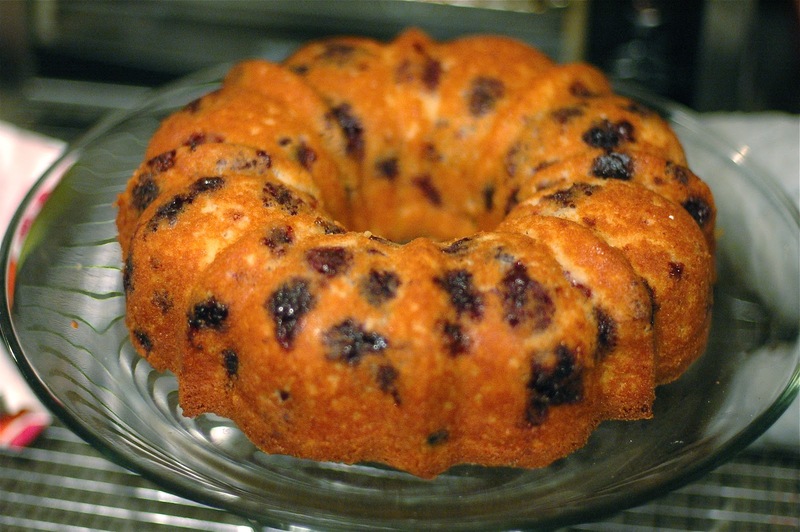 She described it as “the most perfect summer embodiment – a buttermilk bundt – bronzed with a faint crunch at the edges, tender to the point of pudding-ness in the center, and welcome wherever you take it.” It’s a Triple Berry Buttermilk Bundt Cake. I really wanted to make this glorious cake. The story she tells is great and her description of the cake causes you to feel utterly compelled to make it. And so I did. And I flipped! It is incredible. It reminds me of the light recipe that I have made for years, but with lots more butter and frosting. I thought surely there was a way to merge these two recipes and meet in the middle. It seems important to taste a recipe in its original form before altering it – especially lightening up. I made the cake and loved the cake, and ate the cake, and ate the cake! Then I made a merger of the 2 cakes, and this is the result. It’s pretty mouth-watering! I cut the butter in 1/2 by using lemon low-fat yogurt and cream cheese, like the Cooking Light recipe. And for the glaze, I omitted the butter from the Smitten Kitchen, but added more powdered sugar than the Cooking Light version. The result is a delicious, beautiful, summery cake. 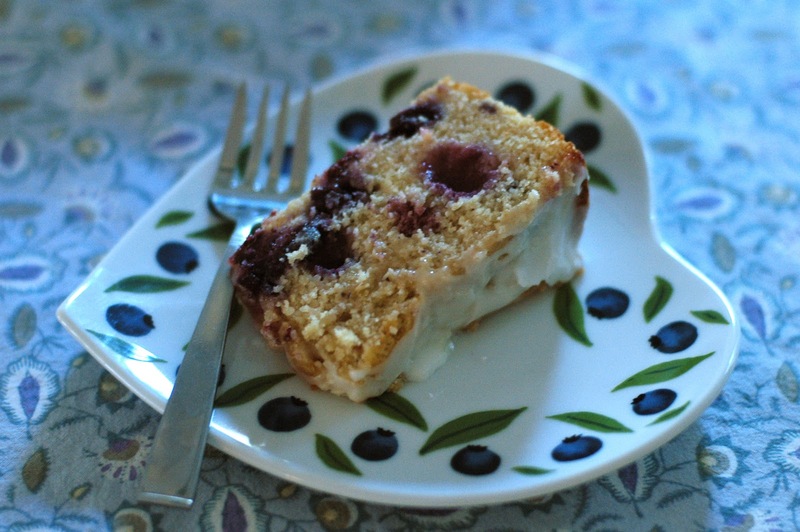 Lemony, moist poundcake studded with berries and covered in a tart glaze. Preheat your oven to 350˚. Generously grease a bundt pan with non-stick spray. Lightly dust with flour. (Or Baker’s Joy: the all in one spray! It works like a charm. I am a recent convert). In medium bowl, whisk 2 ½ cups flour (leaving the 2 Tbsp back), baking powder and salt together and set aside. In a mixing bowl, cream together the butter, sugar, lemon zest, and cream cheese until light and fluffy (about 3 to 5 minutes). Then, with the mixer on low speed, add eggs one at a time. Stir in lemon yogurt and vanilla. Add 1/3 flour mixture to batter, beating until just combined, followed by half of the buttermilk, and then a repeat of that cycle. Don’t mix anymore than you need to. In the dry ingredient bowl toss berries with the remaining 2 Tbsp. of flour. 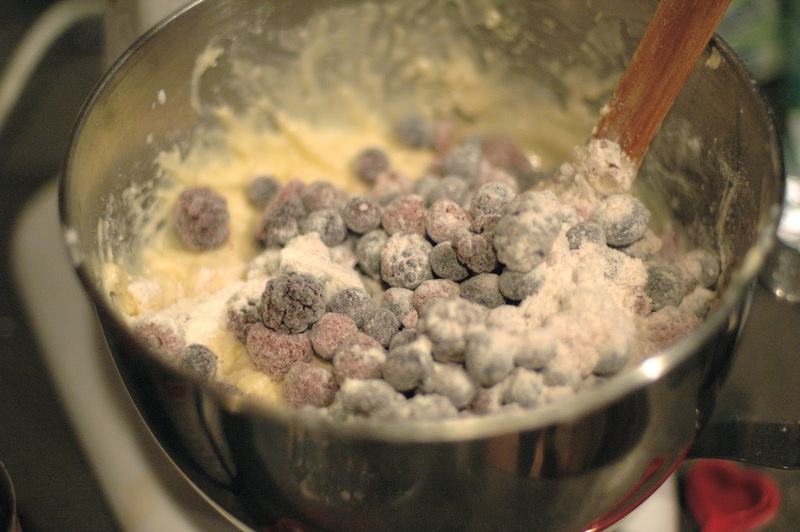 Gently fold the berries into the cake batter. Batter will be thick. Spread cake batter into prepared pan and spread the top smooth. Bake for 55 minutes, rotating the cake after 30 minutes to ensure even baking. Test for doneness with toothpick. Set cake pan on wire rack and cool for 30 minutes, before inverting the cake onto plate. Invert cake. Cool completely. Whisk together glaze ingredients. Spread over cake, letting it drip down sides. Serve at once. Keep covered at room temperature for 3 to 4 days. (I used the blackberry/raspberry/blueberry mix from the freezer section of the grocery and added fresh blueberries as well). For our anniversary last weekend, I decided to make the cake. I am declaring it a new tradition. Lemon Berry Poundcake will be our annual anniversary cake! I think it’s a great cake for a summer anniversary cake. It think it can be a good marital metaphor. It’s a balance of tart and sweet, of health-aware and indulgent, it’s simple and complex, golden crust and smooth crumb. I am thankful for Dave. We are alike and different. The more we are married, the more we meld together, and the more we get each other. Together we balance each other. (On good days, this is, when we appreciate the differences and lean into each other rather than push against those differences. Don’t get me wrong, life is hard and full of obstacles and chaos, but when we lean in to each other, it is a gift). In case you feel you have to wait for a special occasion to make this cake: YOU DON’T! It could be to celebrate a Friday, or a Tuesday, or that you put your shoes on the right feet. It’s a keeper. A Girl in love with Puppies!